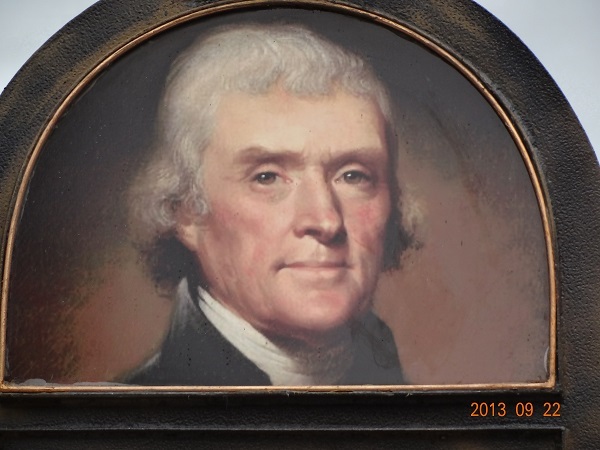 This piece of art is in honor of Thomas Jefferson and stands near the Northshire Bookstore in Manchester, Vermont. Each arm holds something different. In one, a church; in the other, scales representing the state. Although I didn’t see it, my friend told me that the arms move.